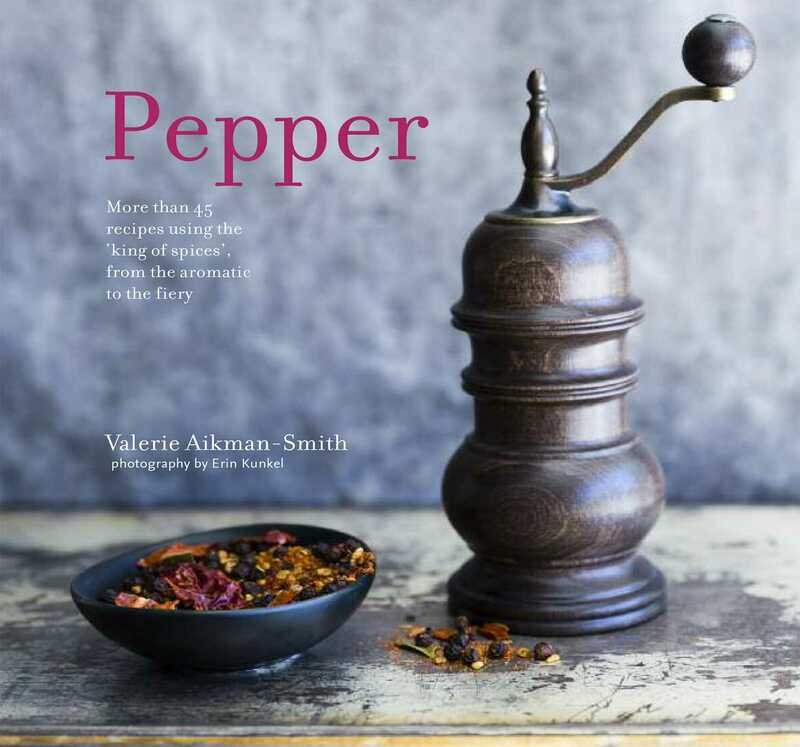 More than 45 deliciously innovative recipes that showcase pepper as a seasoning and ingredient, from the aromatic and subtley spiced to the hot and fiery. Called the ‘king of spices’, pepper has a long history of being used as a seasoning, a preservative, and even currency. By far the most frequently used spice, pepper adds an excellent depth of flavor to nearly any savory dish, and an extra fillip to many sweet dishes as well. Making use of exciting varieties and styles of black peppercorns, including single-estate and gourmet varieties such as Malabar from India, Lampong from Indonesia and Tellicherry from Goa. Chinese szechuan and Japanese sansho also get a look in making this collection of delicious recipes ideal for the home chef who wants to make the most of this essential seasoning. Recipes include Korean-style Peppered Sticky Ribs with Black Sesame Seeds, Steak with Rainbow Pepper Crust and Drambuie Sauce, Roast Chicken with Green Peppercorn and Lemon Butter, Porcini Pepper Crusted Ahi Tuna with Yuzu Pepper Dipping Sauce, Peppered Fish Ceviche, Maple Pepper Baked Tofu, Handmade Lemon Pepper Gnocchi. Sweet surprises includes Summer Berry Salad with Peppered Blackberry Syrup and Pistachio and Peppercorn Brittle with Szechuan Pepper and Chile. Inspired 'peppermill mixes' to make up and use to fill your grinder include Moroccan Mix with Dried Rose Petals, Dried Hibiscus Pepper, Citrus Pepper Mix, Eight-Spice Japanese Chile Seasoning and Smoked Pepper & Chilli Mix. Finally simple pickles, mustards and infused oils which can be used to season when cooking or at the table open the doors to a wealth of gourmet discoveries.